The year is not over yet in the Derwood Demo Garden – we hope to keep producing well into the fall and even winter, and to add quite a bit to our current total of 1471 pounds donated to Manna Food Center (well over twice last year’s total). But the end of September is a good time to sit back a little and assess what worked well and what didn’t. I consulted with co-veggie-leader Robin Ritterhoff and Super-Intern Bill Newman about what the best performing vegetables of the year were, and here’s a partial list of things we thought extraordinary, with the emphasis on what we hadn’t grown before. 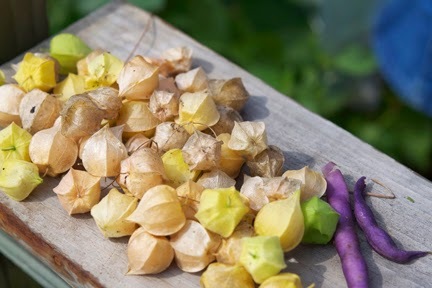 Ground Cherries. I had never successfully grown these little sweet bites of goodness before, but Robin had, and she said both at home and in the demo garden they had a fantastic year. 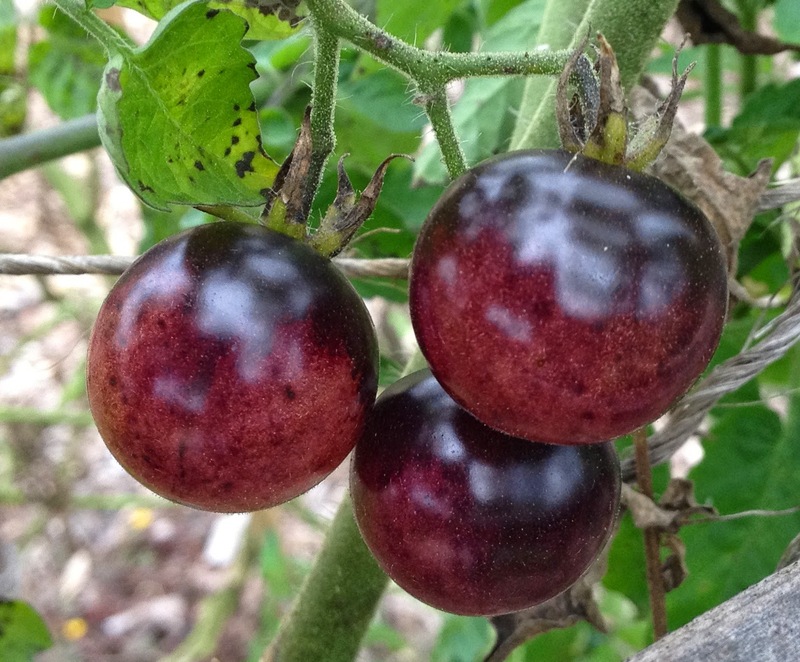 They are a member of the nightshade family, and the fruits grow in little husks as do tomatillos, but the taste is quite different. Mm. We also grew another nightshade family member called Wonderberry or Sunberry, a plant developed by Luther Burbank in the early 20th century, which resembles some of its more poisonous relatives (I had to keep defending it against well-meaning weeders) and produces small black berries that should make good jam if you grew enough plants. We only had one, so we snacked; some of us liked the taste and some thought it was unpleasant. This is the sort of plant that needs to come with a warning NOT to assume similar fruit is edible – know where your seeds came from! – but it’s worth trying if you like novelties. Tomatoes. Now, the DDG tomato patch did very poorly on the whole this year – some combination of stressed plants and compacted soil, plus disease – but there were exceptions, and my own patch in the community garden did very well. I’ve already reviewed Indigo Apple, but its sister plant from Wild Boar Farms, Indigo Blue Berries, was a late starter at the demo garden but caught up fast and is still going strong. The unripe fruits are startlingly all-blue and shiny, and then develop some red color as they ripen. They have a pleasant taste with a good balance of sweet and acid. Robin says they crack much less easily than Sungold, and look fantastic in a salad with those favorite sweet orange tomatoes. Other tomatoes that have done well for me this year include the prolific, large-fruited sauce tomato Polish Linguisa (its only fault being that the green fruits fall off spontaneously if you so much as threaten to touch them, so I’ve had a lot of indoor ripeners through the season), and the modest-sized green-and-red Gypsy, which provided lovely flavor and bountiful harvests. I’ve also had some delicious Brandywines and Abruzzos, but those aren’t new to me. I was less than thrilled with Isis Candy Cherry, which spoiled easily, and unfortunately my Aunt Ruby’s German Green plant was shadowed by an enormous volunteer sunflower that I couldn’t bring myself to pull out (but the one at the DDG produced some nice-tasting green fruits). Other plants worthy of mention include spring-grown heirloom kales Lark’s Tongue and Hanover Salad – it was a great year for kale and other greens in general, due to lower temperatures and lack of harlequin bugs – and Dixie Speckled Butterpea bush lima beans, which produced a large crop all at once in late August. I’ve tried pole limas at the DDG before with no luck, because the frost hit before they’d matured, so bush limas seem to be the way to go. 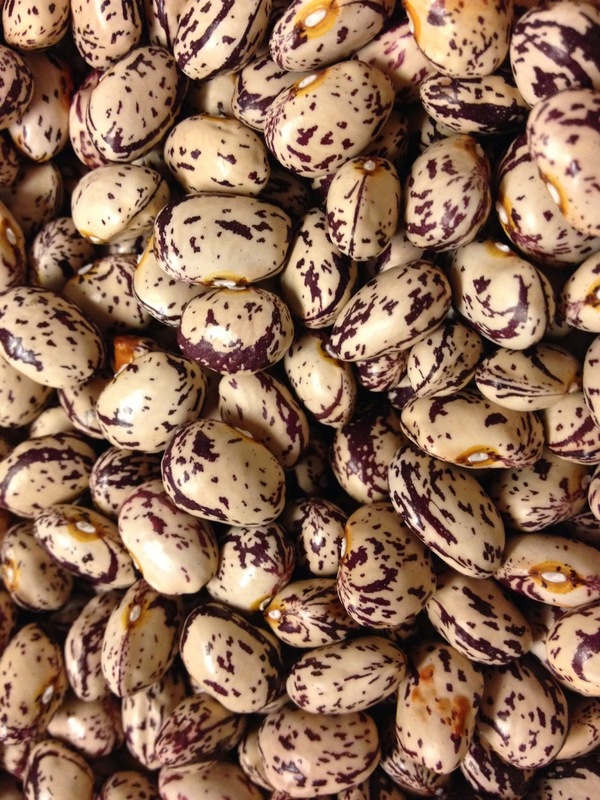 Next year is GIEI’s Year of the Bean, so expect plenty more of these! We also produced some lovely Cranberry Beans, which were grown out to dry stage and then cooked to share at a GIEI meeting. Unfortunately they turn a uniform brown when boiled instead of maintaining the gorgeous variegation, but the taste is meaty and excellent. Since this is the Year of Cucurbits, I have to share our great (and unusual) successes in that realm, due largely to lack of the usual pests rather than to any innovative strategies in combating them (there’s always next year). We had more cucumbers than ever before; I wish I could tell you which varieties did best, but they grew over each other so avidly I couldn’t tell one vine from the next. The vegetable garden grew some lovely gourds by accident, and the children’s garden grew many more on purpose. We even had melons, which usually don’t do well for us: some little Savor Charentais and some Sweet Granite muskmelons (some of which were supposed to be bitter gourd but got mislabeled, oh well). Thanks to Bill’s impulse buy at an Asian market, we’ve had prolific Mao Gwa fuzzy gourds, which cook up nicely once you’ve removed the hairs, and we still have winter squash coming along. And of course the mouse melons did splendidly. 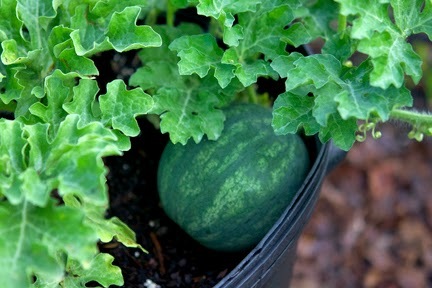 We also managed to produce a watermelon in a container: this is the relatively new Sugar Pot cultivar. Okay, only one small watermelon, but it’s nice to know you can do it. The real stars (and donation weight providers) have been the summer squash, especially our stalwart Tromboncino (climbing up and overwhelming its large trellis). Several ground-dwelling relatives produced well also, but all other zucchini were put to shame by lovely and delicious (even at, ahem, rather excessive sizes) Costata Romanesco, which is the variety I’ll turn to in preference from now on. 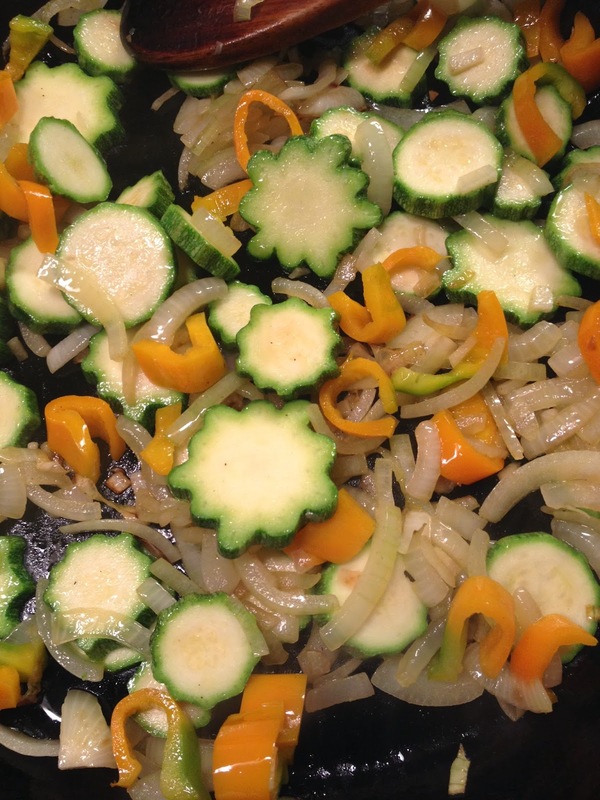 Here are its scallop-edged slices brightening up a stir-fry: firm, meaty, and pretty too. Despite the plants having developed powdery mildew in August, it’s still producing squash, if not quite as exuberantly as earlier in the season. 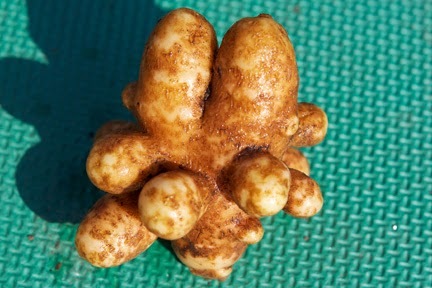 And in root vegetable land, I’ll mention our fingerling potatoes, which turned out really more like hands than fingers. Please share your favorite varieties of the year in the comments! Wow! Is that a sort of potatoes- fingerling potatoes? Please, tell me more about it! Fingerling potatoes are supposed to be shaped like fingers, more or less – long and narrow – and are smaller than average on maturity, though there's a lot of variance in size between types. 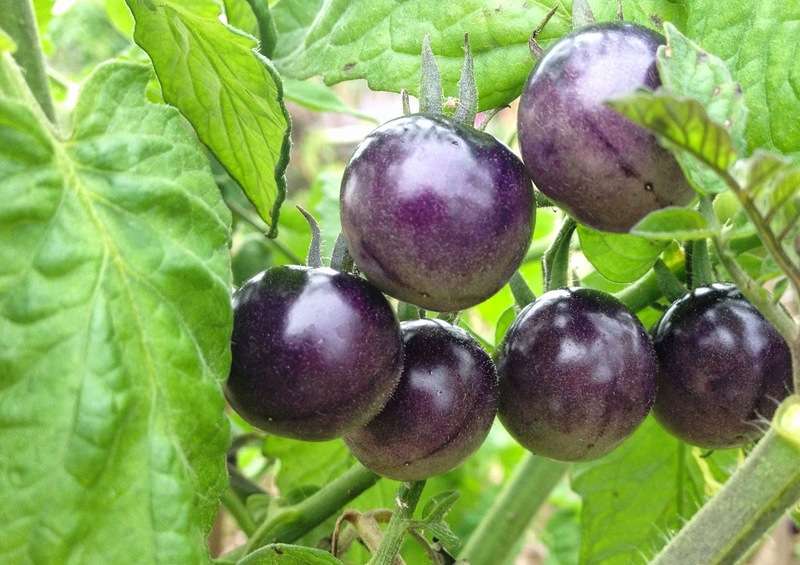 They're valued for taste and tenderness, and are usually heirloom varieties.